Been in the works for a few years now. 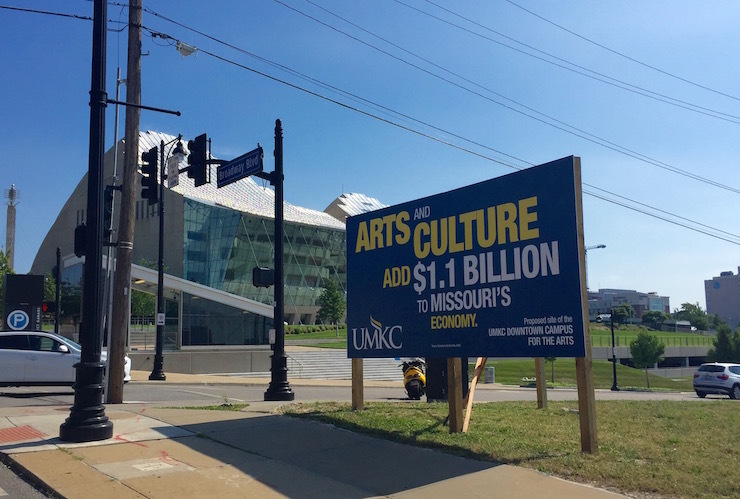 At an event on the UMKC campus celebrating the event, Chancellor Leo Morton said the campaign has raised $32 million of the $48 million in private sector support necessary for launching the university’s proposed Downtown Campus for the Arts. Morton promised to raise the remaining $16 million soon. 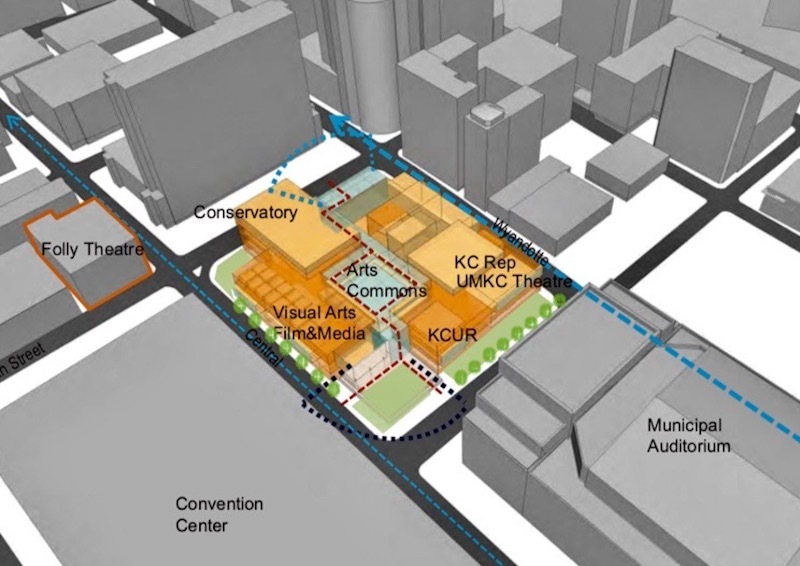 “Anonymous” was the big donor, committing $3 million in the latest fundraising round for the University of Missouri-Kansas City’s proposed downtown campus for the arts. That recently announced commitment was joined by $1 million from the R. Crosby Kemper Charitable Trust and Foundation and $500,000 from the Francis Family Foundation, contingent on the school receiving matching funds from the state. The newest gifts bring UMKC to $38 million of the $48 million it needs to raise from private sources by June 30. 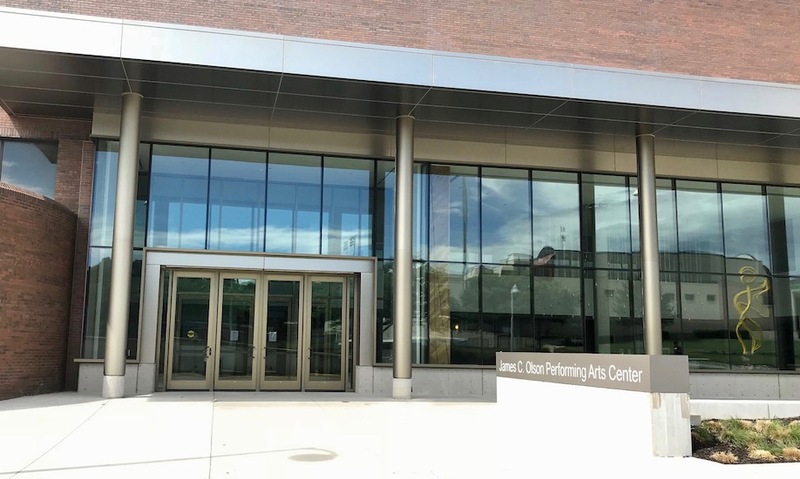 That’s the deadline to apply for state funds to cover the remainder of the $96 million project that aims to build a new Conservatory of Music and Dance. Funding milestone looks to be reach for Phase 1 of the project. 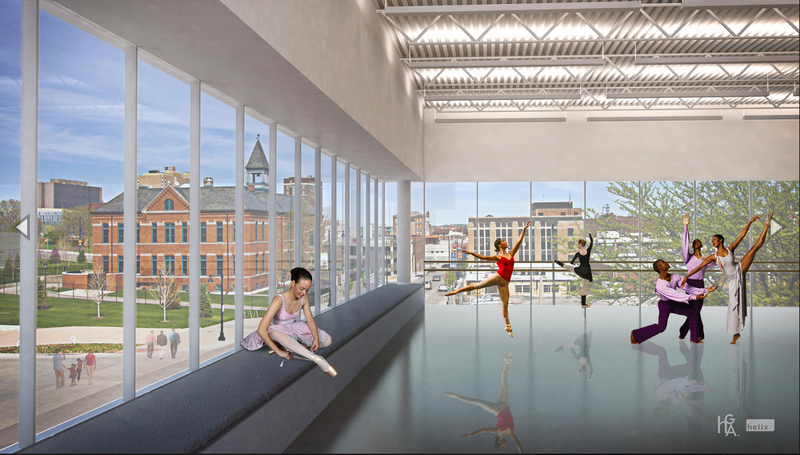 The first phase of the downtown campus project will include a new home for the UMKC Conservatory of Music and Dance, which would replace a collection of outdated and spread-out facilities on the Volker campus with state-of-the-art practice and classroom space. 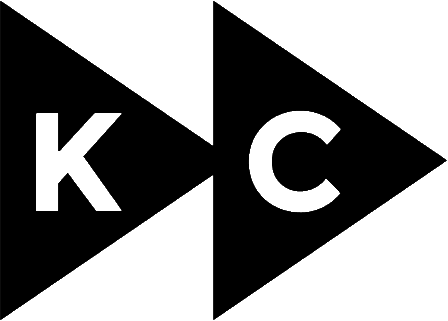 The UMKC request for state money was presented during the board of curators’ two-day meeting that started Thursday. Curators are scheduled to vote on the request Friday. Headed to the Governor’s desk, after passing through the Senate. With over two weeks left until the July 14 deadline for Greitens’s signature, the Board of Curators have announced that they are developing plans for an alternative funding match in lieu of state funding. It appears they caught wind of Greitens’s intent to veto the funding bill. It is no doubt a smart move away from depending on the Governor’s decision, but it could also take some of the heat off him if he does eventually veto the bill. 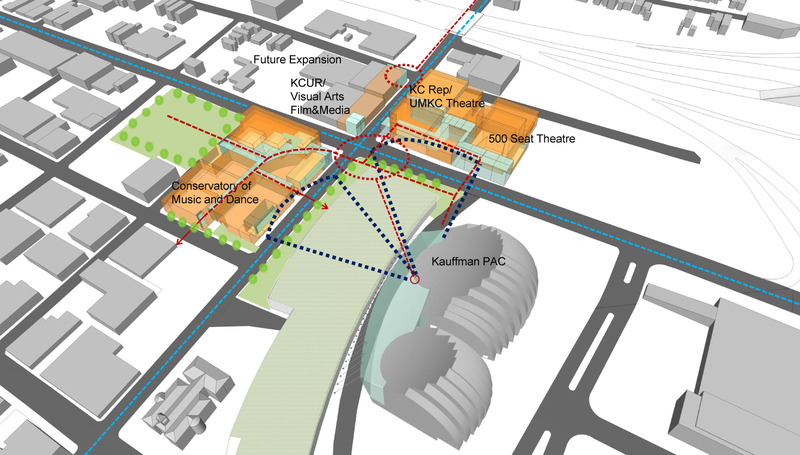 The University of Missouri-Kansas City’s art campus funding will be mostly private rather than relying on state bonds, university officials said Wednesday. Project might be getting bigger with delay. Close to getting the downtown @UMKCCons back on track as well. Potentially even a better, bigger project. Announcements coming soon. …or never come to existence. Interesting stuff happening here. Barney Allis being floated as an option. 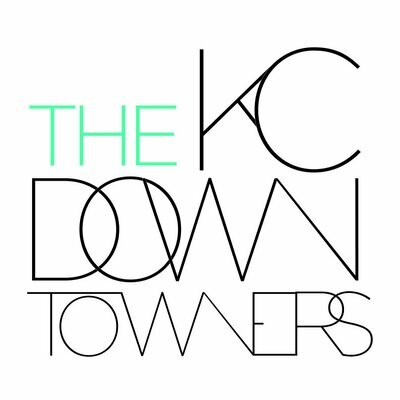 Greitens resigned today – opens up strong possibility of passing funding for this in near future. 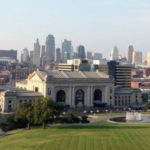 State government news: In his first trip to Kansas City, MO, since taking over as governor, Missouri Gov. 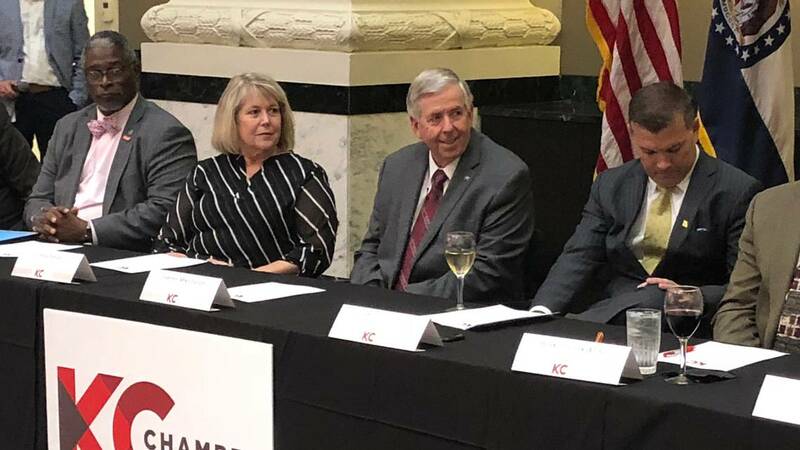 Mike Parson said he will reconsider a bill to fund the arts campus at the University of Missouri–Kansas City (UMKC).